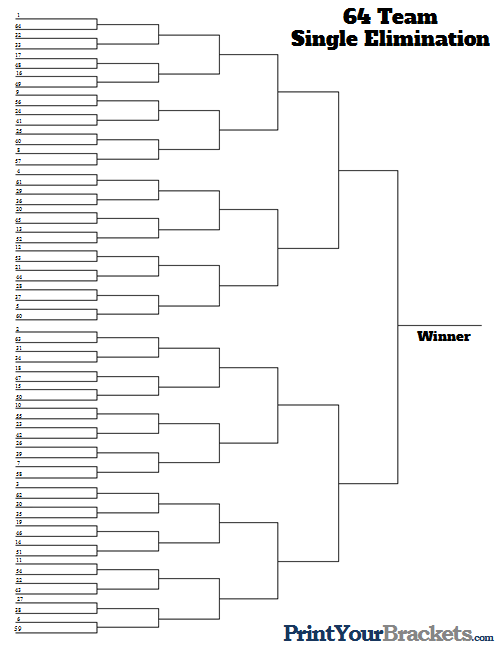 Below you will find 2 different layouts for the 64 Team Seeded Bracket. The first bracket is a landscape print layout that runs from left to right and the second bracket is a portrait print layout that runs from both directions, meeting up in the center. Both of these brackets work exactly the same, the appearance is the only difference. If you click "Edit Title" you will be able to edit the heading before printing.